Kilbeggan® is a unique Irish Whiskey. 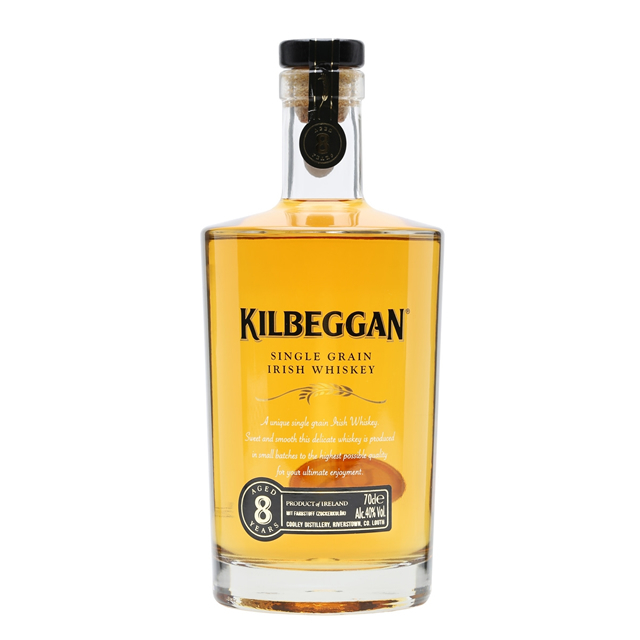 Like most Irish people, Kilbeggan® is easy going and approachable, but with its own distinctive style. The finest grain and malt whiskeys are blended together for a smooth, sweet taste and lovely malt finish, a characteristic of our pot still that is over 180 year old and still at the heart of Kilbeggan® Irish whiskey. The nose is smooth and gentle with nut oils, hazelnut and barley, cereal sweetness and a little peat. The palate is of good body with honeyed sweetness and malt. The finish is short with oaked dryness.